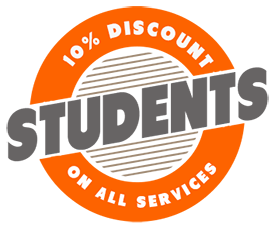 Our alternative skip hire service is much cheaper than hiring a skip. Moreover we will do everything for you. We come, load all unwanted items and dispose them at a local recycling centre. We can dispose of anything from furniture, computer equipment to printers and freezers etc. Why Are We Better Than Skip Hire? When you hire a skip you never quite know how much space you are going to need. You’re either going to go for one that’s too big or not quite big enough! 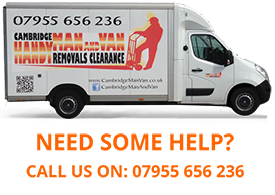 With Cambridge Handy Man and Van you will get a personalised quote, meaning you will not waste money by over or underestimating on skip size, and you also won’t lose out having to get yourself a road skip licence. With our stress-free attitude you can relax whilst we do all the hard work for you. You only pay for what we remove! Great alternative to skip services! Compare our prices before hiring a skip! No need to waste time and money obtaining a skip road licence! We have electrical qualifications, we are CRB checked and Environmental Agency approved! In brief, if there is anything to be disposed of, we are here to help. Why hire a skip and then do all the hard work yourself? We come to your home or office and load up all your waste and take it away. And what’s more, we work 7 days a week including bank holidays, weekends and evenings.